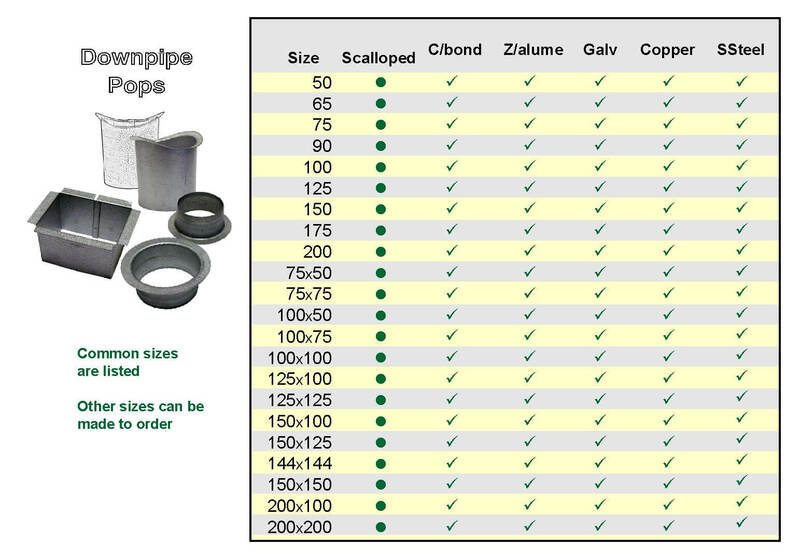 Pops and Downpipe Clips- are available for all our downpipe sizes in round, square or rectangular profiles. Clips are manufactured and shaped to suit prior to leaving the factory. As they are not supplied as flat strips, there is considerable time saving when fitting off downpipe on-site. 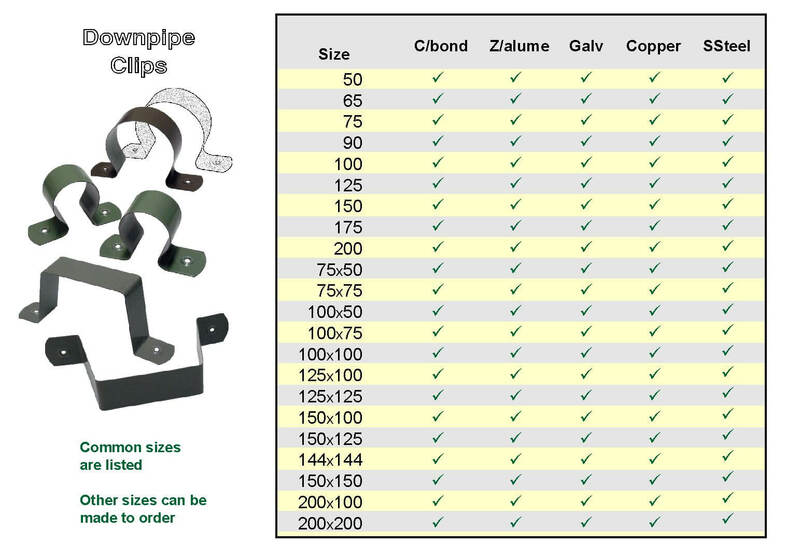 All Pops and Clips are available in Zincalume, Galvanised, Colorbond*, Copper and Stainless Steel. *Colour surcharge of 10% applies on Night Sky and discontinued Colorbond colours. We also have scalloped pops suitable for half round gutter. Some sizes are made to order and we can manufacture to your specifications. Clips - are manufactured and shaped to suit prior to leaving the factory. As they are not supplied as flat strips, there is a considerable time saving when fitting off downpipe on-site. Downpipe leaf guards- can be made to your specification.